This is a very simple mod of the stock MiG-21PFM to give a 'Fishbed-F' in service with the Air Force of the Mongolian People's Republic. I've added an extra 'M' to the designation to keep it separate from the true MiG-21PFM but by all means just add the skin and decals to your standard MiG-21PFM. 1. From the AIRCRAFT folder drag and drop the MiG-21PFMM folder into your Aircraft folder. 2. 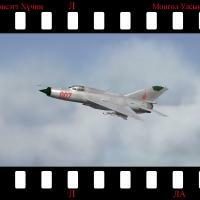 From the DECALS folder drag and drop the MiG-21PFMM folder into your Decals folder.